Effective Monday, September 21, the daily CME Globex maintenance period will begin 15 minutes earlier Monday through Thursday from 16:00 until 16:45 CT. This includes Equity Index futures (ES, YM, NQ) and Energy futures (CL). Currently, the daily maintenance period occurs Monday through Thursday from 16:15 to 16:45 CT. 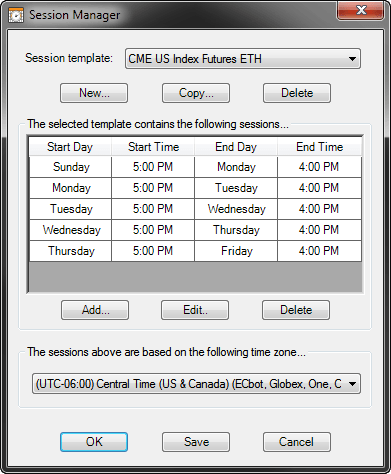 The re-open remains at 17:00 CT.
With this change, the closing times for the following markets will now occur 15 minutes earlier Monday through Friday at 16:00 CT.
You can update your NinjaTrader session templates in just a few quick steps to adjust for these new trading hours. Included below are the 2 impacted session templates and the instruments associated with each. The video tutorial details the simple process to update each template. 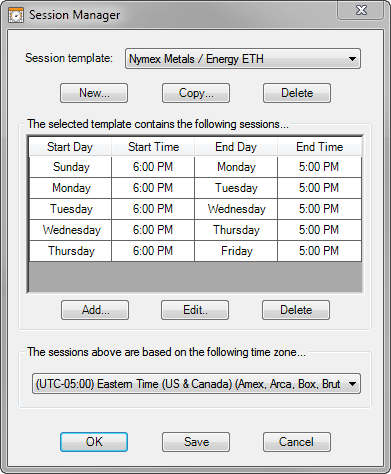 If you have any questions regarding updates to your session templates, please contact us at [email protected].